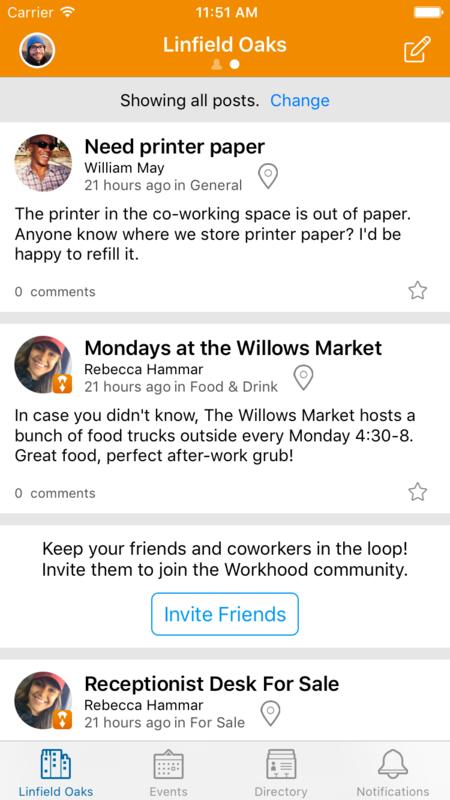 Workhood is the location-based social network for you, your coworkers, and your work-neighbors. We believe that those who share a work-neighborhood are uniquely useful to one another, based on their common surroundings. While these communities already exist, the tools to facilitate connection to them don’t. 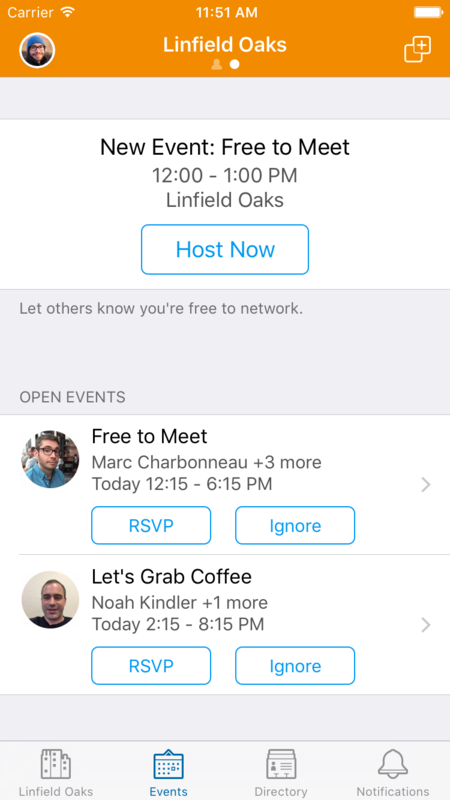 That’s why we’ve created Workhood, to make it easier to connect with the people working around you. 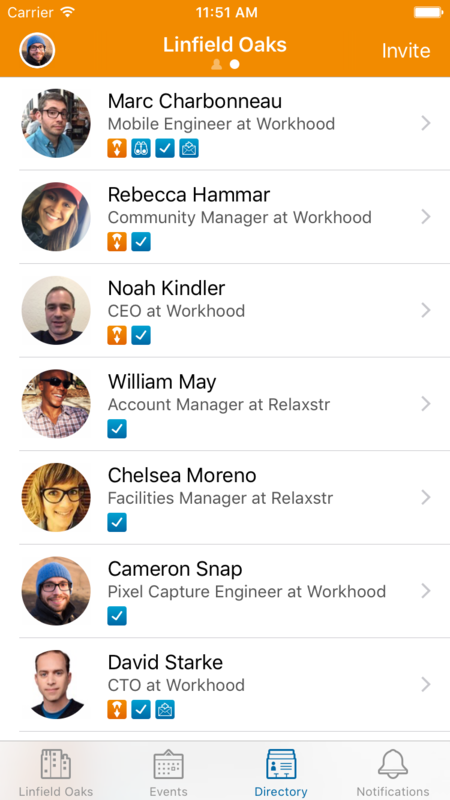 Workhood’s location based sign-up helps us determine which work-neighborhood you belong to—each neighborhood is its own limited network, made up of people who have been verified in the area. Not only does this provide a certain level of security but it also ensures that what you see on your news feed is relevant to the community. From restaurant suggestions and traffic updates to outsourcing recommendations for the office; work-neighbors offer each other local insight and up-to-date information specific to your shared area. We encourage users to reach out to us with any questions, concerns or suggestions by contacting support@workhood.com. At Workhood, we come to work everyday to help people connect with the people who work near them. We believe that some of our most rewarding professional experiences come from keeping in touch with our coworkers and discovering more about the people and community we work with. We also believe that technology can dramatically improve our connections to the people in the communities around us, so we’re building the tools to do that. We’re excited to share these tools with you, and we hope you are excited to use them. Workhood is created in Palo Alto, California. or email us at support@workhood.com. ©2016 Workhood. All rights reserved.